A World War One Monument in a Church of Scotland churchyard, Melrose, Scotland. For one generation those numbers are as memorable as 11.22.63 for another and 9.11 are to still new generations. 11.11.11 stands for the 11th hour of the 11th day in the 11th month; the time when an armistice ended “the war to end all wars”. Unfortunately that hope was not realized as lessons from the past we’re not taken to heart and new generations had to learn again for themselves. 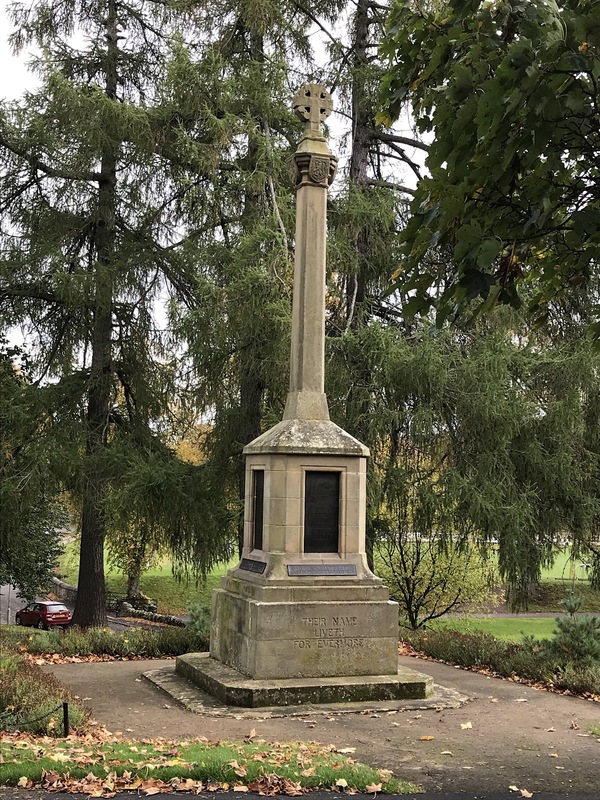 On a recent trip to Scotland I was struck by the silent monuments that rose from the earth in nearly every church yard and town square, silent remembrances of those who died in The Great War. It is said that a whole generation was lost. The world was forever changed as humanity began to see, really see, the depth of humanity’s inhumanity. When I was a school-child November 11th was still called “Armistice Day”, marking the end of that great conflict. That is no longer the case. Poppies are still worn, but with new generations the date has slowly morphed into “Veterans’ Day”. There are still parades, but they are much smaller now. Today I will remember not only the veterans who served with honor as well as the active duty military personnel and their families. But I will also prayerfully read and reflect upon the vision of the ancient prophet Isaiah. And God shall judge among the nations, and shall rebuke many people: and they shall beat their swords into plowshares, and their spears into pruninghooks: nation shall not lift up sword against nation, neither shall they learn war any more. (Isaiah 2:4). Amen.